"Foreign nationals, only with "tourist visa" will be permitted to Lakshadweep islands"
One of world's most spectacular tropical island systems, Lakshadweep is tucked away at 220-440Kms off the Kerala Coast. The islands offer a precious heritage of ecology and culture. The unique feature of the Islands is its coral reef, making it a pristine leisure spot to come back to. 4200 sq. kms. of lagoon, rich in marine wealth, is spread over 36 islands in an area of 32 sq. kms. The underwater view at Lakshadweep is kaleidoscopic and breathtaking. The lagoon offers excellent potential for water sports like swimming, wind-surfing, diving, snorkeling and kayaking. No wonder, Lakshadweep is fast becoming India's one of its kind ï¿½Adventure sport - Nature Tourismï¿½ location. Each island is fringed by snow white coral sands. The crystal clear water and the abundant marine life enhance the beauty of these islands. Against the vast expanse of the blue sea, the island look like emeralds. The huge shallow calm lagoon on one side with wall like reef made of marine live coral boulders blocks the incoming swells of the outer sea. The islands are linked to the mainland by: - ship, helicopter, Indian Airlines, Kingfisher Airlines and mechanized sailing wooden vessels. In all the islands, elaborate infrastructure is in place to meet the needs of tourists. 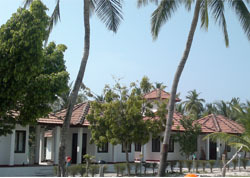 Lakshadweep was given the National Eco-Tourism Award 1997 . Boarding the ship 0900 to 1000 hrs. Departure from Kochi by 1500 hrs. Arrival at Minicoy 0945 hrs. Evening Tea-Departure 1600 hrs to Ship. Departure ship by 0800 hrs. to Kavaratti. Welcome Drinks-Glass bottomed boat-sea bath-Kayaking scuba Dive & snorkeling on payment. Departure ship by 0745 hrs. to Kalpeni. Day 5. KOCHI- Morning Tea and Breakfast. Arrival in Port, leave ship by 1100 hrs. 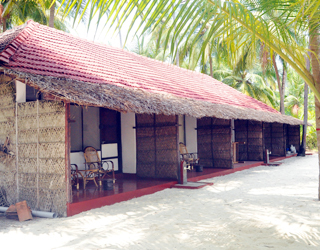 Package rate for Five Days Lakshadweep Samudram Package. Available Schedules of Lakshadweep Samudram Packages. 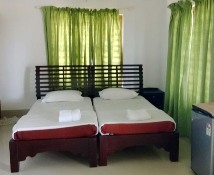 "Link for online portal for Lakshadweep Samudram Booking: https://samudram.utl.gov.in"
"You are requested to not to send any Samudram package reservation e-mail to our reservation e-mail address since the booking for Lakshadweep Samudram package is through online"
*Boats available to Kadmat(Mon,Wed,Fri) vise versa. Taratashi offers a package to visit Kavaratti - the administrative capital of Lakshadweep and a four/five days stay on the island. Swimming, snorkeling, scuba dive lagoon cruise in glass bottomed boat and other water sports are on offer and can make your holiday memorable. 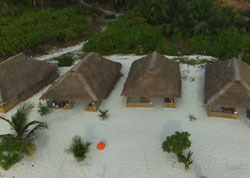 The stay on the island is in the tourist huts on beach front. *Boats available to Kavaratti(Mon,Wed,Fri) vise versa. Week End / One Island tour to Kalpeni, Minicoy, Kavaratti & Kadmat is a one day excursion package. On Saturday the ship departs from Kochi/Mangalore/Beypore and on Monday morning ship returns to Kochi/Mangalore/Beypore. Sunday will be spent with a range of water sports like, snorkeling, kayaking, viewing under water marine life through glass bottomed boats etc. 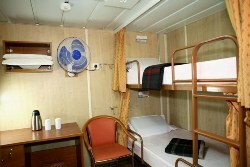 Accommodation in the ship AC hall push-back chairs. *Boats available to Thinnakara in all days. Bangaram Island, spread over 120 acres is uninhabited except for occasional visitors from the nearby island of Agatti, where the airport is situated. The island is surrounded by a shallow lagoon enclosed by coral reef. It has been ranked among the best getaways of the world. 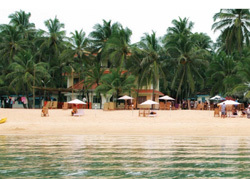 A matchless sense of well-being takes over and one begins to discover the graceful fishers, porcupines, parrots, Pufferfishes, Hermit Crabs and Seabirds on the vast 120 acres of lush coconut groves in Bangaram. There are numerous adventures like scuba diving, beach games, swimming, snorkelling and deep-sea fishing. 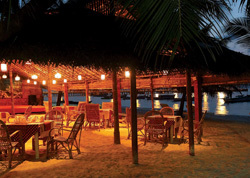 The resort has 60 bedded beach cottages (AC Cottages) with a multi-cuisine restaurant serving myriad delicacies. One can reach Bangaram from Agatti where there is an airport. *Boats available to Bangaram in all days. All diving equipment will be provided. Swimming skills and a doctor's certificate declaring the candidate fit for diving are mandatory. The minimum age to undergo the diving course is 14 years. Lakshadweep has got world's premier Dive Spots. The Dolphin Dive centre, Kavaratti offers PADI Scuba Diving Experience Programme and PADI Scuba Diving Course. For details please contact our dolphin dive centre, Kavaratti in the Tel. Number: +91- 4896 263649 / 262105 . Children with the age of 5 and above is taken as extra person. 10% cancellation charge will be deducted if the booking is cancelled 30 days before departure. 25% cancellation charge will be deducted if the booking is cancelled between 29th to 7th days before departure. No refund if cancelled within 7 days before the departure. 100% refund if the schedule is cancelled due to unfavourable weather conditions and/or other unexpected technical faults. No damages/claims will be payable except money paid by them. 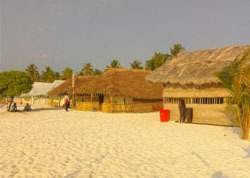 ï¿½ Consumption of liquor is prohibited in Lakshadweep. ï¿½ Program / Schedule of ship is liable to be changed / cancelled without prior notice. Ships are operated by Lakshadweep Administration. In case of a change in the ship schedule liability of SPORTS is restricted to transporting the tourists back to Cochin by immediate available conveyance of the ship only. ï¿½ Tourists availing LTC in samudram package may please be informed that LTC certificate will be available in the online booking portal on completion of the voyage. Those who are booked directly please login to the portal and check the LTC certificate option and those who are booked through agent please contact respective agents. ï¿½ Service tax applicable as per the prevailing Govt. Tax rate. ï¿½ All the payments are to be made by Cash / DD / Cheque at par in favour of ?SPORTS ?PAYABLE? at Kochi. 1. There is no revision of accommodation charges for the Marine Wealth Awareness Programme/Taratashi/Swaying Palm packages. 2. The 10% hike during the month of December,will be applicable for all the packages. 3. 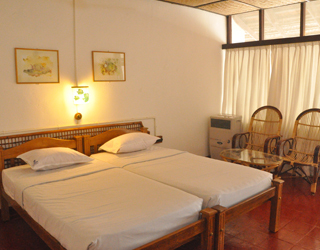 The accommodation charges for staying tourist will cover only accommodation and food charges. All other water sports activities are chargeable. 4. Package cost for cruise based packages (Lakshadweep Samudram/Coral Reef/Silver Sand) will be increased by 10% during the month of December. 5. Cruise based package (Lakshadweep Samudram/Coral Reef/Silver Sand) availed tourist will enjoy the following facilities without any additional payment in the island of their visit as the cost of which included in the package cost. i. Kavaratti Island - Glass bottomed boat ride, Kayaking, visit to Fisheries Museum and Folk Dance. ii. Kalpeni Island - Snorkeling, Kayaking, Factory Visit and Folk Dance. iii. Minicoy Island - Kayaking, Light House visit, Village visit, Folk Dance. iv. Kadmat Island - Kayaking, Glass bottomed boat ride, Factory visit, Folk Dance. v. Thinnakara Island - Snorkeling, Kayaking. vi. Bangaram Island - Snorkeling, Kayaking. 6. All other Water Sports activities are chargeable.